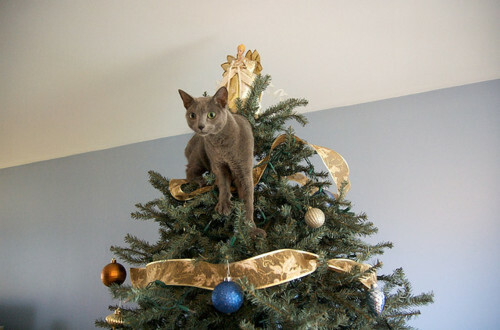 The Christmas tree might as well be an early holiday gift to your cats. Kitty can’t resist the urge to sniff, cheek rub, claw—and scale the branches to reach the highest possible perch. Don’t blame your cat. It’s normal for cats to compete for the top spot (literally and figuratively) to secure their place in kitty society. 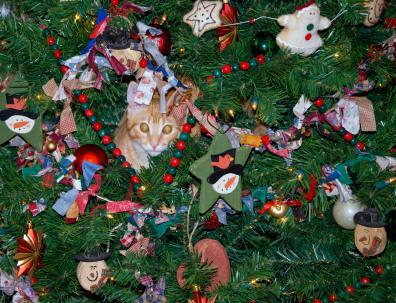 Stop by Sabinal Grain Company to pick up a few cat or kitten toys to keep them preoccupied and away from your Christmas tree. This entry was posted on Wednesday, November 20th, 2013 at 11:16 pm	and is filed under Cat, News & Updates. You can follow any responses to this entry through the RSS 2.0 feed. You can leave a response, or trackback from your own site.